First of all, sorry for not posting for about a month. 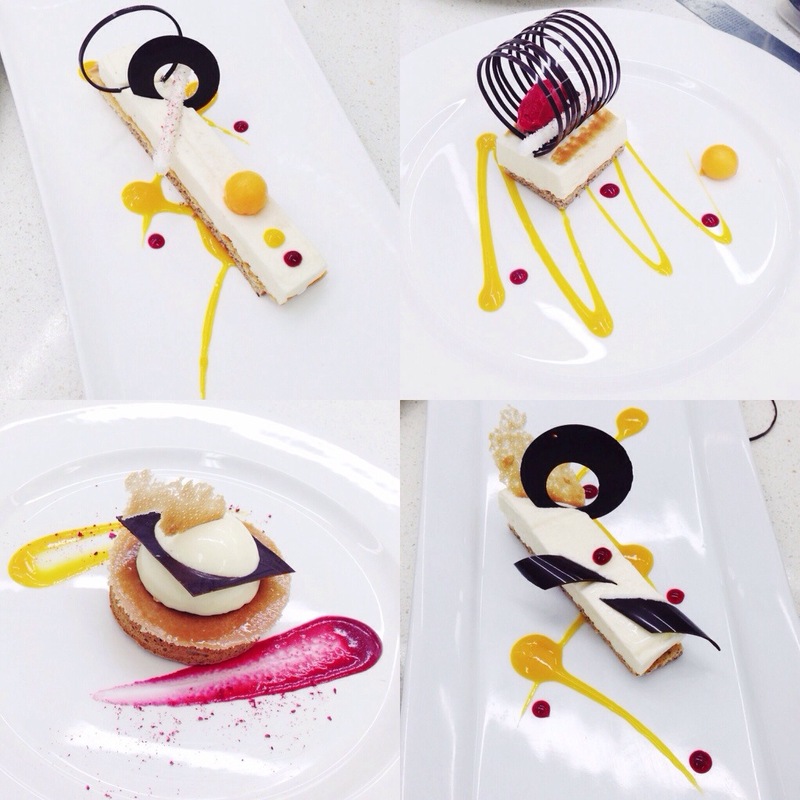 I’ve been really busy, so I’m going to post my last lesson in my patisserie course today. It was an interesting sugar week, last week of may. This piece was made of pastillage, 100% sugar which has been coloured. Pastillage is made of powdered gelatine, water, glucose, icing sugar and corn flour. The flexibility is similar with marzipan or fondant icing, but if it’s left uncovered for too long, it’s going to become hard and keep its shape. The 2nd sugar product is a fruit basket. This is the most frustrating sugar work that I’ve done. I used the classic sugar recipe and casting sugar recipe. Blowing the sugar to shape it into the desired shapes might be the most difficult part but it got easier as you did it and I honestly felt like it was the easiest job to do by the end of the lesson. HOWEVER, when I did the assembling, it was easy at first but when I started to assemble all the pieces together, the side of the sugar basket started to crack and fell into big pieces. Everything went really well until the assembling part. I was really really upset, but still it was a wonderful experience. The 3rd product of sugar work is my first ever sugar sculpture which is the most amazing lesson ever. 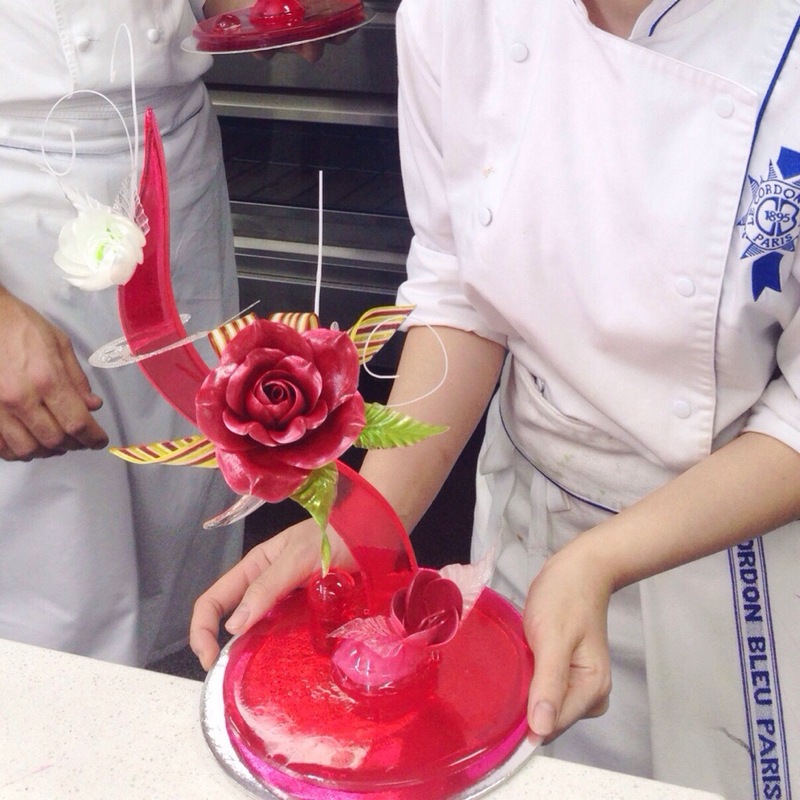 The sugar used for casting was isomalt. 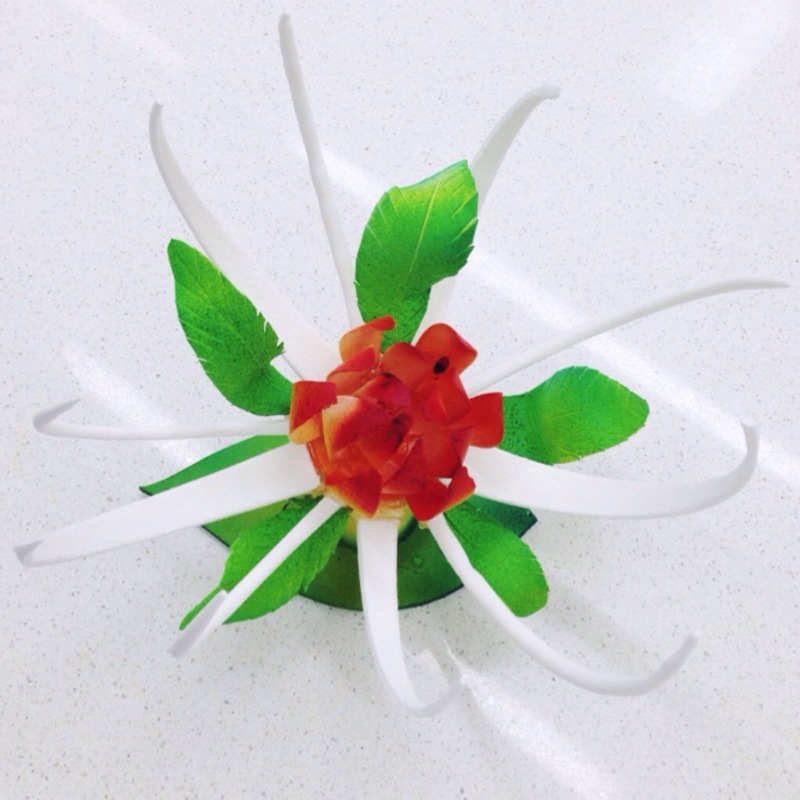 The flower and ribbon were made using the similar method – pulling. The most difficult part for me is to keep the petals of the flower thin. The sugar was so hot that it was a really painful job to work with them, but I did it anyway and finished it. Really amazing experience indeed. 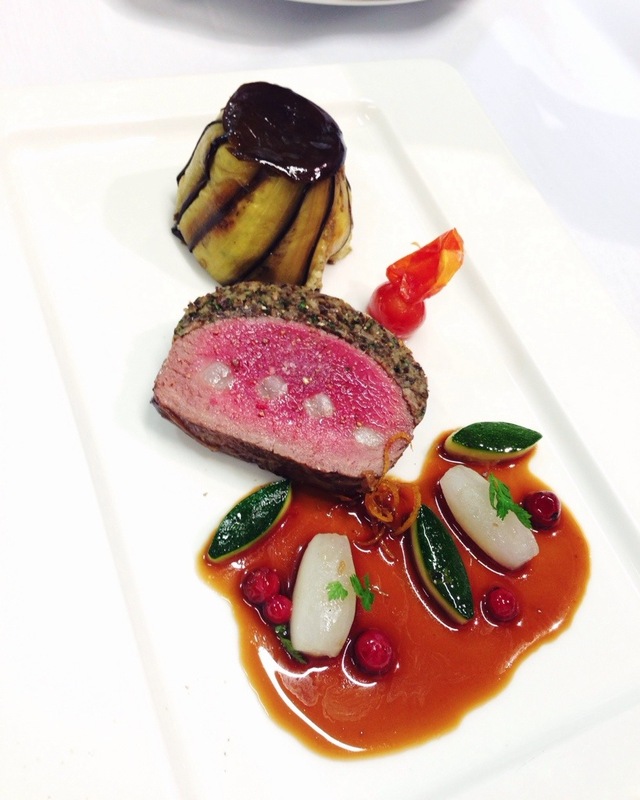 Thank you Chef Sebastien. As you can see the surface of the cake is not as smooth as a sponge cake. That’s why I covered the whole cake with a thin layer of marzipan (2mm) before I put another layer of fondant icing (3-5mm) on top of it. 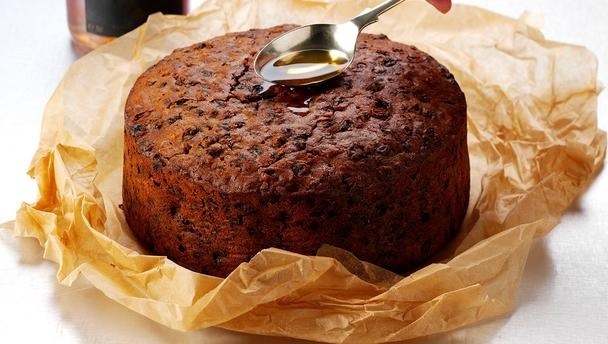 This cake could last up to 5 years as it was made of fruit cake which has a really long shelf-life. Coulibiac of Salmon. Simple, traditional ,yet really delicious. 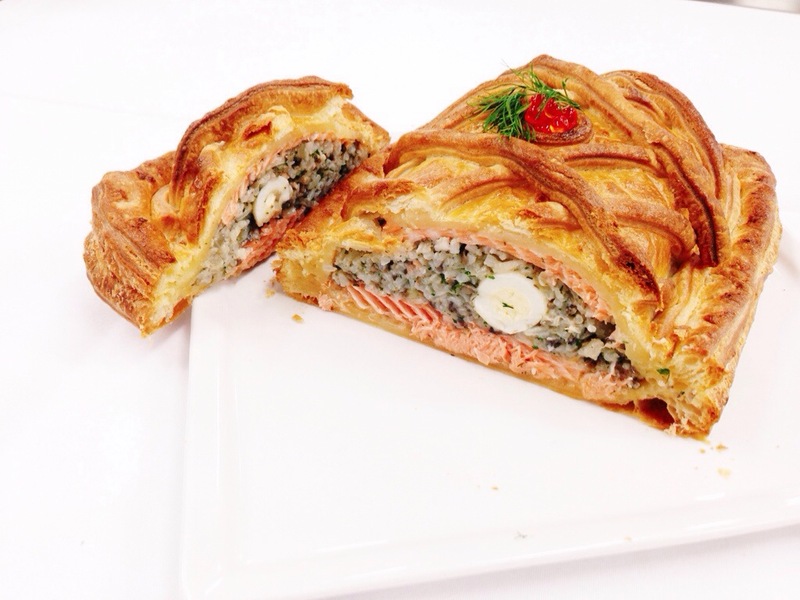 It’s salmon layered with quail eggs, duxelle and puff pastry. 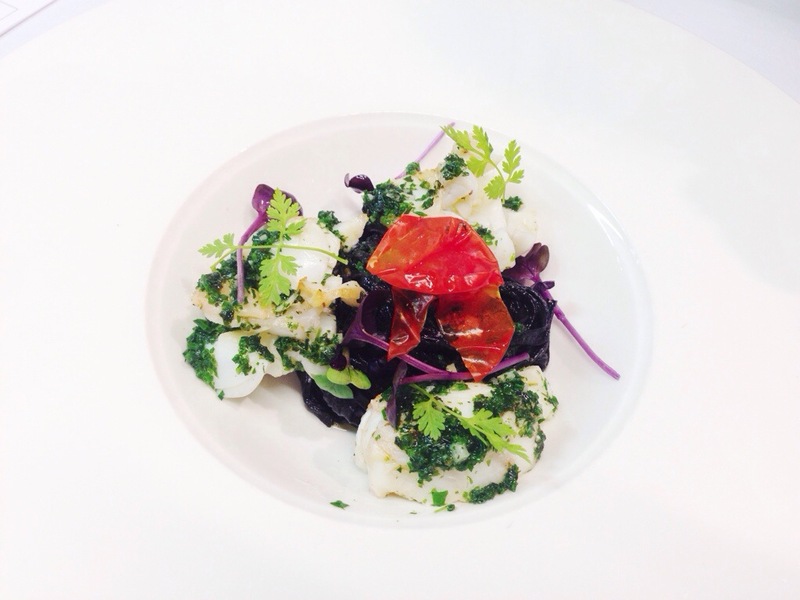 Duxelle is made of rice pilaf, herbs, velouté and mushrooms, it has a really beautiful flavour. This dish is extraordinary, you could feel the crunch and buttery texture from the puff pastry, the flavour of salmon and the duxelle really goes well together. It was my first time making this dish ,it turned out pretty well even though it wasn’t perfect. Finally gonna post some cuisine stuff! If you’re wondering why I don’t post the photos of the one that I cooked is because during the cuisine practical, we want to serve the dish straight away to the chef for tasting while it’s still warm, really different with patisserie practical (where I could take a picture of the product at the end of the lesson) that’s why I don’t really take any picture of the food that I cooked during the cuisine practical. I love to eat venison rare because the meat is not as chewy as beef when it’s eaten rare ,when you eat it the lardo just melts in your mouth, the sauce also compliments the flavour. 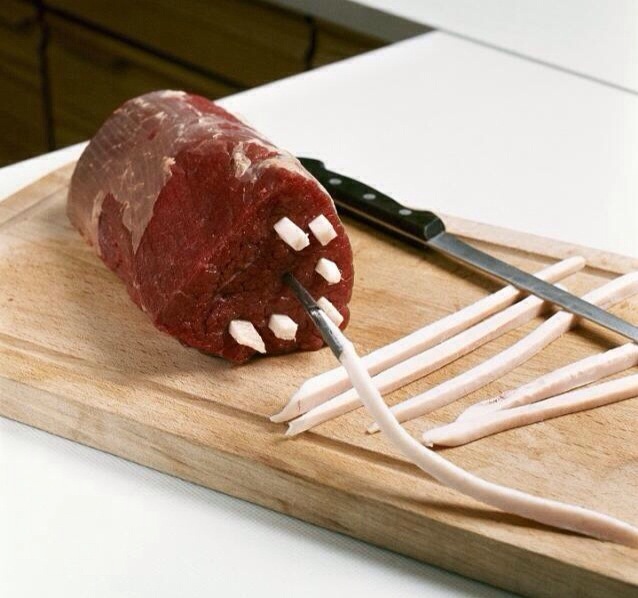 A really fantastic dish, love it ! One of my favourite entremets so far , coconut and passionfruit entremet. “Russe”, coconut biscuit meringue ,layered with coconut mousse and passionfruit curd, glazed with white mirror glaze and garnished with tempered white chocolate and macaron shells. 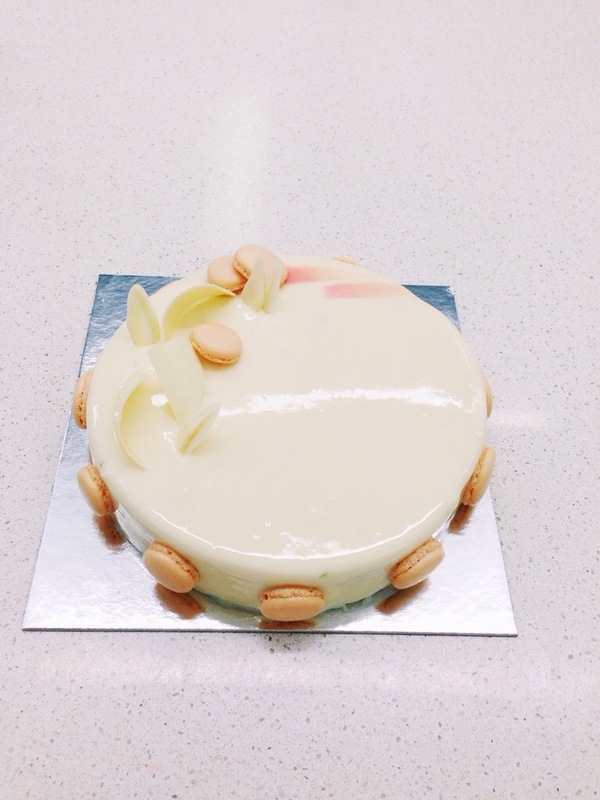 I really love this entremet because the flavour is really refreshing, the acidity from the passionfruit curd balanced the sweetness from the mousse, biscuit and the glaze as well. I love the smell of the coconut, and the texture it gives to the biscuit. 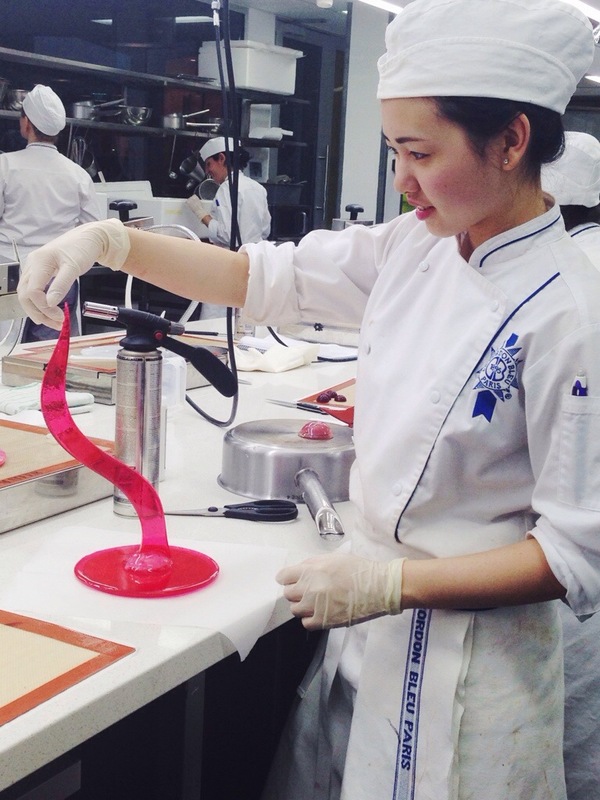 We fully glazed the cake with the white mirror glaze and garnished with plain macaron shells as well as different shapes of tempered chocolate. 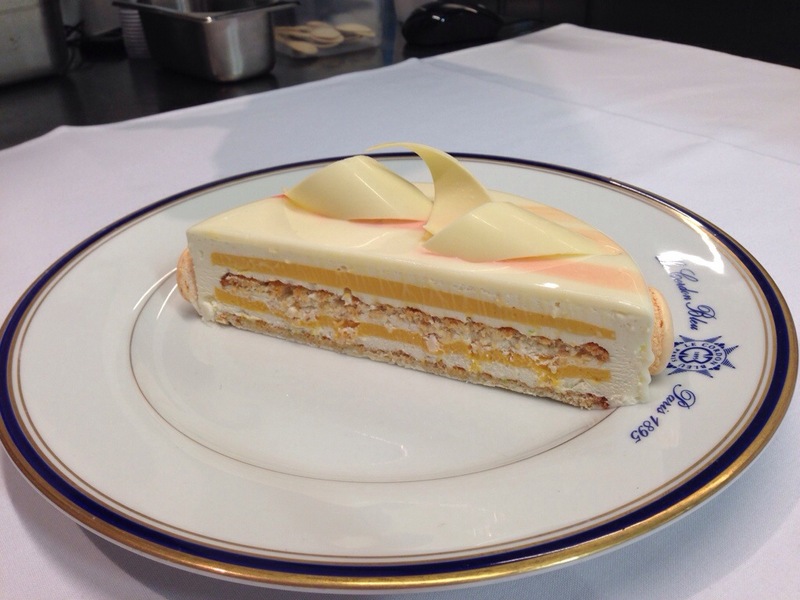 It was a really delicious entremet, absolutely fantastic. It doesn’t have that strong vanilla fragrance, it has a unique flavour and you can smell the different spices all combined in one bean. 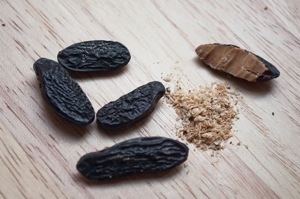 It’s really interesting for me because back home I didn’t really use tonka beans. 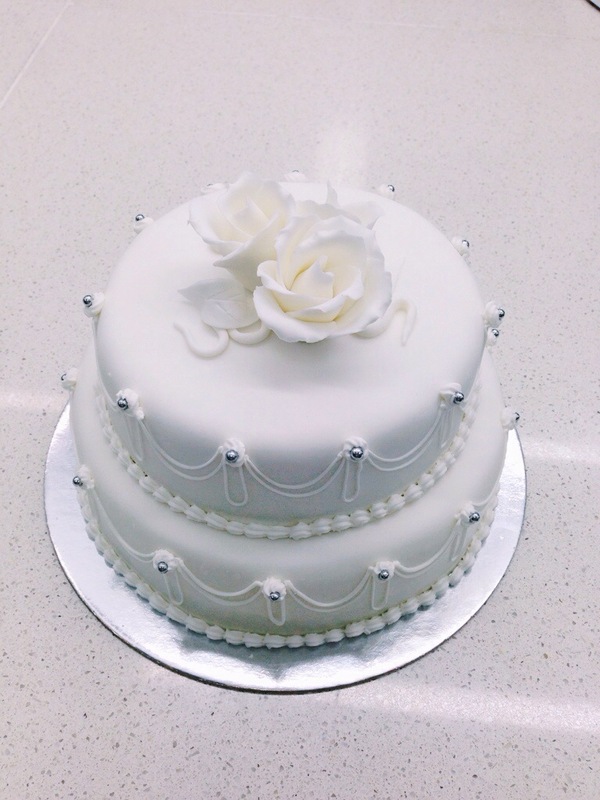 If you’re wondering about the glaze, we used a spray gun (chocolate milk flavoured) to glaze the cake so it has that unique texture. 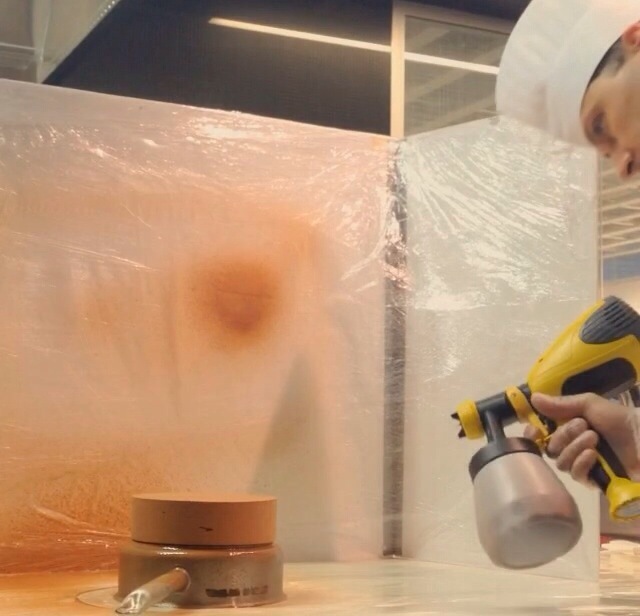 This is a picture of my chef, Chef Sebastien demonstrated how to use the spray gun. It was pretty cool. 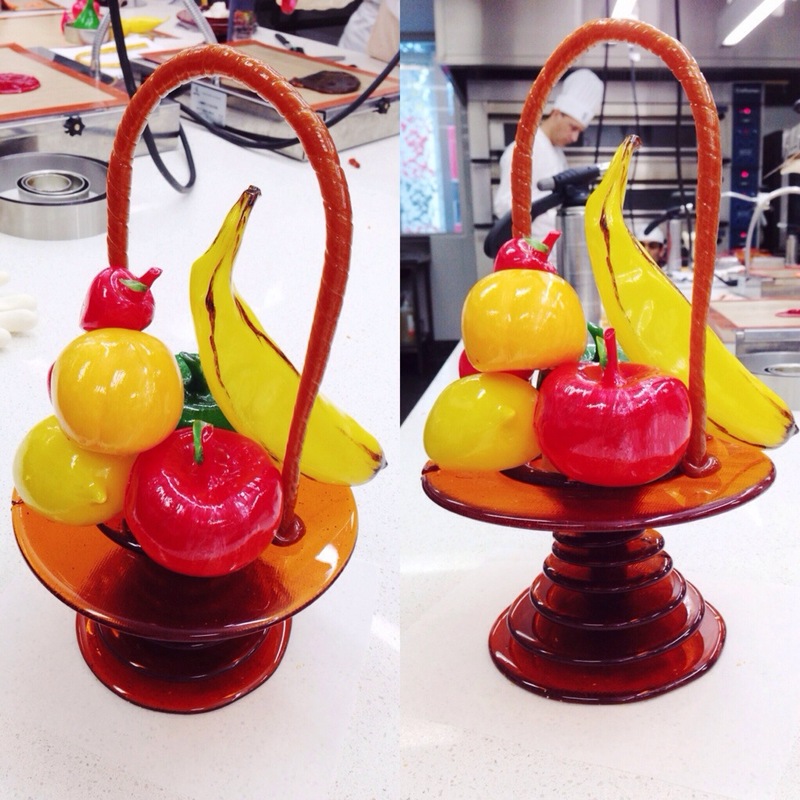 Follow my Instagram: nananadyas, to see the video of the demonstration. 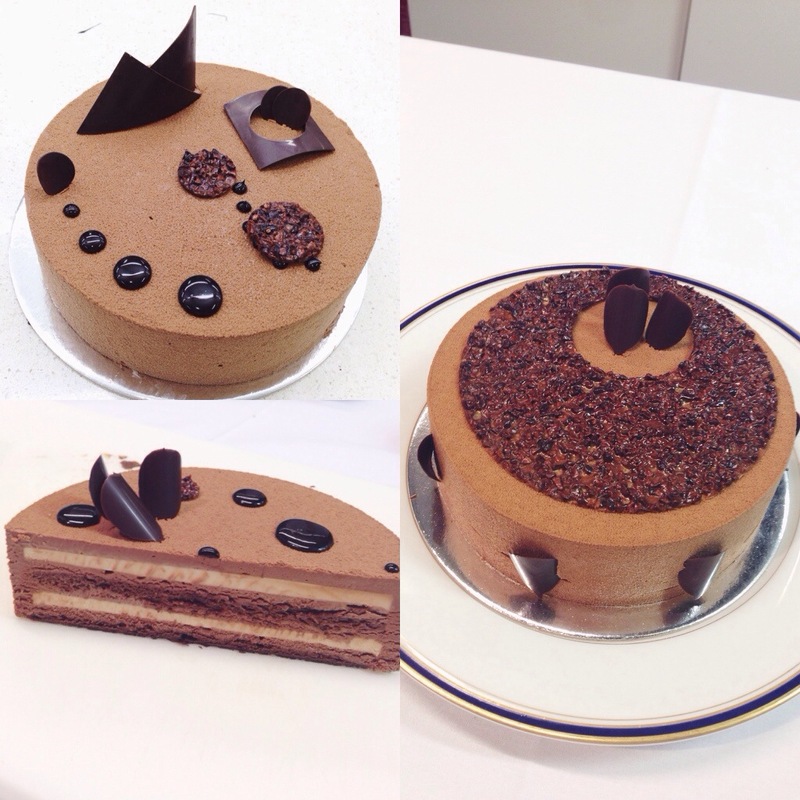 This entremet was also garnished with cocoa nib nougatine and shiny chocolate glaze.